What better way to ensure trouble-free valvetrain operation than to install matched springs with your new BOPORT cam. The stage 1 kit is a complete "drop-in", meaning no machine work or additional parts will be required. 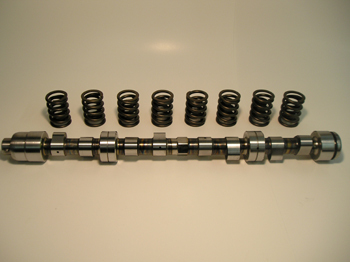 The Stage 2 and Stage 3 kits are required to be used with .400" tip length or BOPORT valves for mechanical clearance and spring installed heights in stock heads.